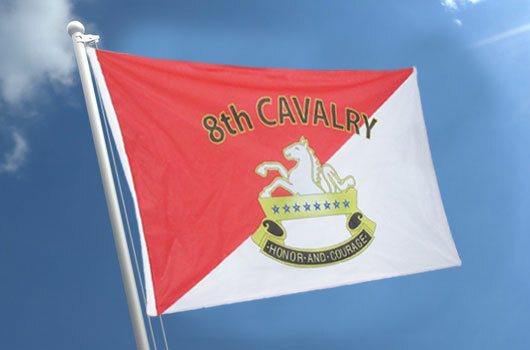 No other kind of flag deserves more attention to detail than custom army flags. Australian Flag Makers uses high-quality inks and materials that will ensure your flag embodies the pride of your unit. Whether you’re in the army, you were in the army, or someone you hold dear has served in the army, you know how much pride there is in serving your country. Make sure that pride translates to the perfect custom army flags by creating a personalized design with Australian Flag Makers. We can create the perfect representation of your dedication because we’ve been creating custom flags of all kinds since 2003. We know which dye processes are best for which types of flags, and we offer many different materials depending on whether you want to fly your flag indoors or out. Don’t think that designing custom army flags has to cost a fortune. Because the entire process is so customizable, we can create a personalized flag product that fits your needs and your budget. In order to make sure your order is affordable, we’ll provide you with a free, custom quote. All you have to do is tell us more about the vision you have for your flag and we’ll tell you exactly how much it will cost. We’ll even provide you with a free proof so you can see exactly what your flag will look like! To learn more or to get free pricing, fill out our online form or give us a call today!